It is a time of calamity in a major metropolitan city's Department of Elevator Inspectors, and Lila Mae Watson, the first black female elevator inspector in the history of the department, is at the center of it. There are two warring factions within the department: the Empiricists, who work by the book and dutifully check for striations on the winch cable and such; and the Intuitionists, who are simply able to enter the elevator cab in question, meditate, and intuit any defects. Lila Mae is an Intuitionist and, it just so happens, has the highest accuracy rate in the entire department. But when an elevator in a new city building goes into total freefall on Lila Mae's watch, chaos ensues. It's an election year in the Elevator Guild, and the good-old-boy Empiricists would love nothing more than to assign the blame to an Intuitionist. But Lila Mae is never wrong. The sudden appearance of excerpts from the lost notebooks of Intuitionism's founder, James Fulton, has also caused quite a stir. The notebooks describe Fulton's work on the "black box," a perfect elevator that could reinvent the city as radically as the first passenger elevator did when patented by Elisha Otis in the nineteenth century. When Lila Mae goes underground to investigate the crash, she becomes involved in the search for the portions of the notebooks that are still missing and uncovers a secret that will change her life forever. 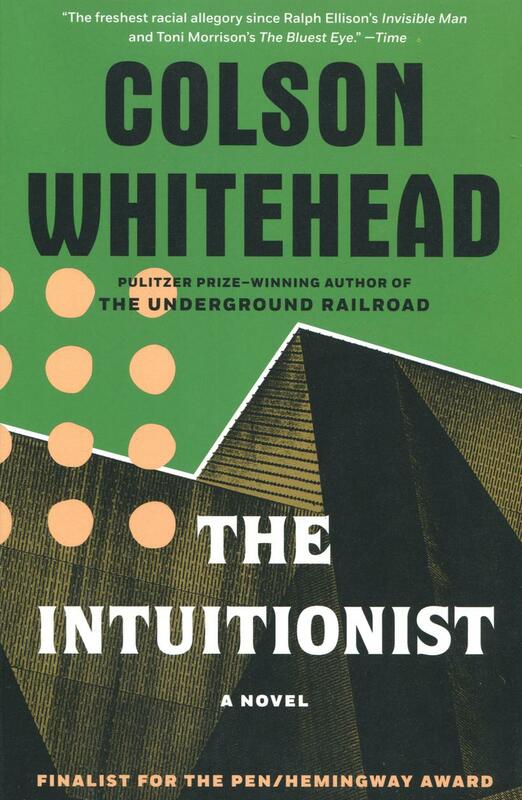 Colson Whitehead is the #1 New York Times bestselling author of The Underground Railroad, which in 2016 won the Pulitzer Prize in Fiction and the National Book Award and was named one of the Ten Best Books of the Year by The New York Times Book Review, as well as The Noble Hustle, Zone One, Sag Harbor, The Intuitionist, John Henry Days, Apex Hides the Hurt, and The Colossus of New York. He is also a Pulitzer Prize finalist and a recipient of the MacArthur and Guggenheim Fellowships. He lives in New York City.